How To Make Money In Nigeria: How Much Can You Earn From Affiliate Marketing? The reality in affiliate marketing is that it's like most other work-at-home ventures; there are a few who are filthy rich, a good number who are successful enough to meet their goals, and a ton who aren't making anything. The question isn't really whether or not affiliate marketing is a viable income option (it is), but whether or not you can make affiliate marketing work for you. Only you can decide that, but to help you decide, you can check our previous post on the pros and cons of Affiliate Marketing. How Long Did It Take Other Affiliate Marketers Before They Started Making Money? While it’s true that “it depends”, I’m going to assume that you’re intelligent enough to actually know that. It depends on your niche, how many hours you put in per week, how serious you REALLY are about succeeding, and how fast (or slow) of a learner you are. Heck, even luck plays a role. But you already know all of this. You just want a general answer. Can you start making money this week? This month? This year? With affiliate marketing, how long does it take? Here’s the direct answer and you might not like it. Affiliate marketing takes about 12 months to start seeing success. At least true and consistent success, that is what most expert Affiliate Marketers said. Yeah, pretty much., however, I believe with even better planning, vision, goal and hard work, you can start earning cool money in 6 Months! Now, this does not mean you will not make money when you just start, this only means that your earnings will be unpredictable, scanty and inconsistent. 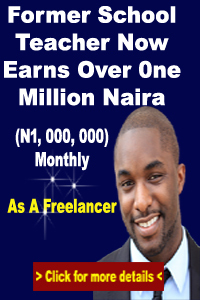 Intermediate Affiliate – Anywhere from N5,000/day up to N50,000/day. High-Level Affiliate – Anything above N50,000/day. One of the rare laws of Affiliate Marketing is: "Revenue is vanity and profit is Sanity"
In other words, if a person is making a revenue of N100,000 per day and a profit of N5,000 and another person earns N50,000 in revenue but a profit of N10,000. The second person is better off when compared to the first affiliate marketer. My answer to the question, “If I quit my job, how long will it take me to earn X/day?” is often a swift “Forever“, and here’s why. 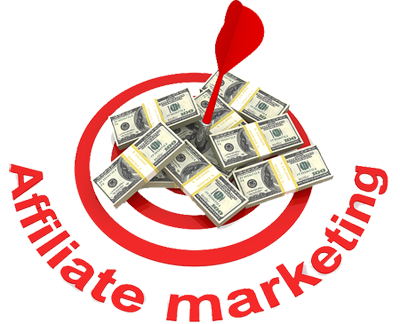 Low-Level Affiliates: Focuses on pockets of profit around the web. He ignores economies of scale in favour of high margin campaigns on smaller traffic sources that tend to be extremely volatile. Examples include dating sites, small-scale Facebook Ads, Juicy Ad buys. 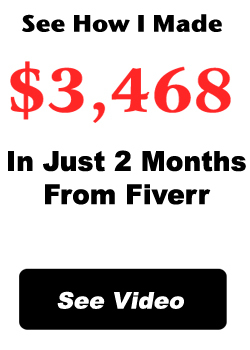 High-Level Affiliates: Focuses on mass-market media buys and hugely scalable traffic sources. Often trades convenience (self-serve traffic sources) for direct buys with better margins and all of the pie. Greater risk involved, more capital required.